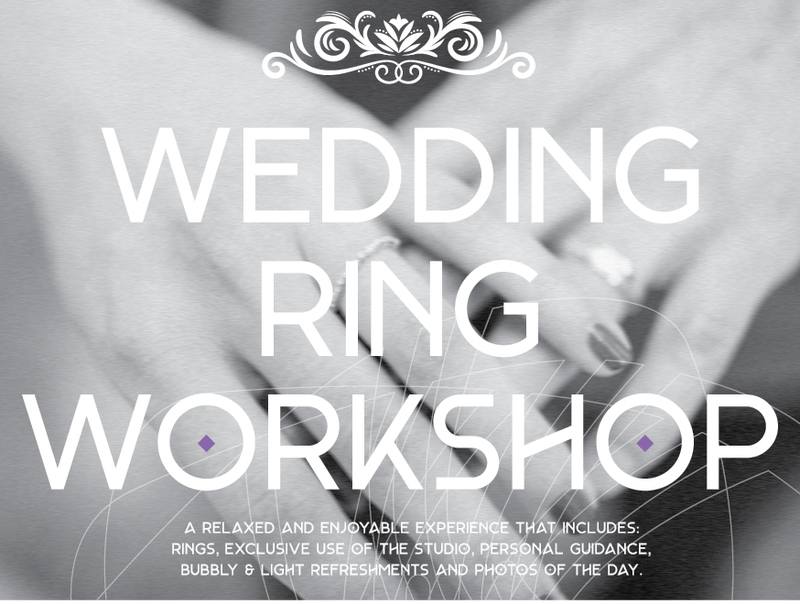 I will work with you on the design of your wedding rings ahead of the workshop. Once we have agreed the design, you will have exclusive use of my studio where I will work with you step by step through the ring making process. We will work at your pace to make sure the experience is relaxed and enjoyable. Bubbly and light refreshments will be available throughout the day. I will also provide photos of you making your rings via email within 5 days of the workshop. Cost is £250 for exclusive use of my studio and my time. Material costs are on top. Price of materials varies, depending on the precious metal chosen, thickness and width of the ring, size of ring and fluctuating precious metal prices. These will be agreed ahead of the workshop as part of the design process. Additional services such as engraving, hallmarking, insurance and postage to and from the assay office are not included and would be subject to further costs. £100 non refundable deposit is required to secure the studio for the day. Cost of materials to be paid 3 weeks before the session.